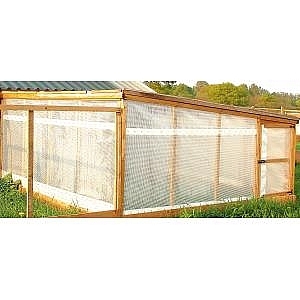 The 8` x 8` Brooder House is easy cleaning - c/w floor, sliding windows to aid ventilation control, door with anti chick slide, and a pophole at each end. These are all shiplap timber made with wooden + felt roofs. These are available in standard floor dip treated timber. Titan floor dip treated timber or Titan floor tanalised timber. Consists of back, front sections and roof. Constructed with tanalized timber, UV stablised sheet with woven reinforcement. Titan h/d floor for moving dipped. Titan h/d floor for moving tanalised. 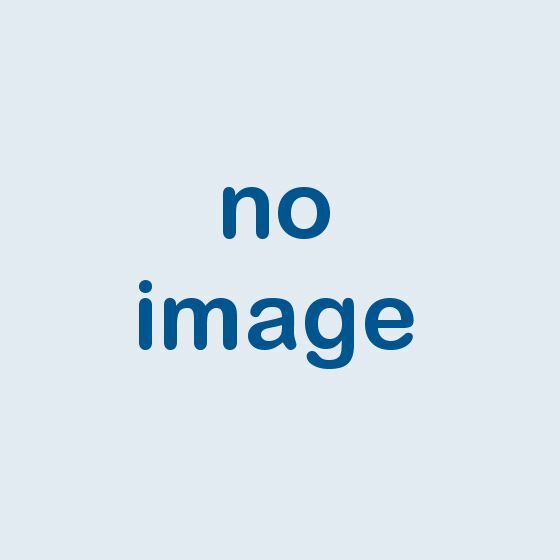 The 10` x 10` night shelter consists of back,front section and roof. constructed with tanalized timber and a uv stabilized sheet with woven reinforcemnt. The 12 x 12 night shelter consists of back,front sections & roof.Constructed with tanalised timber,UV stabilised sheet with woven reinforcement. The first choice for many game farms and shoots - c/w 20mm floor, two external doors, four popholes and gable louvres. Available in dipped or tanalised timber. Night shelter an optional extra. The latest of our larger rearing houses introduced to give greater rearing/storage area. 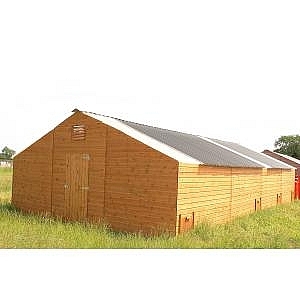 c/w 20mm floor and six rearing bays, capacity 3200 - 4000 pheasants. Night shelter an additional extra. 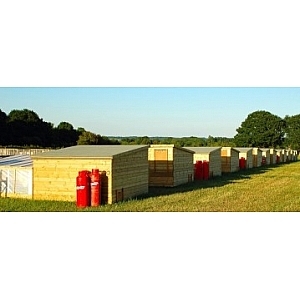 solidly constructed from treated timber and UV stablised sheeting.